Newport Harbor Lighthouse may not be the best-known light in Newport Harbor, but its place in history as the first beacon to guide mariners into the bustling Newport of the early 1800s is unchallenged. The lighthouse stands on Goat Island, so named because early Newport residents pastured their goats there, and the small tower is known locally as Goat Island Lighthouse. This lighthouse has overseen massive changes to Newport and its harbor over the last two hundred years. 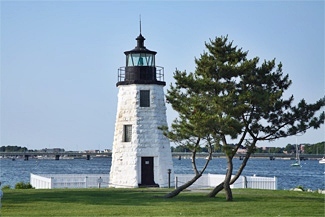 Although Newport had been an important center of seaborne commerce since the early 1700s, the first lighthouse on Goat Island at the entrance to Newport Harbor was not completed until 1823, after Congress provided $2,500 for its construction in March of that year. Activated on New Year’s Day of 1824, the stone tower was twenty feet tall with a multi-lamp and reflector apparatus showing a fixed white light. A nearby keeper’s dwelling had six rooms. This light is about to be removed to a new tower, on the end of the breakwater constructing from this island. It is to be hoped a larger lantern will be furnished that tower; this being only 5 feet high and 4 wide, a space altogether too small for the convenience of the keeper. I found this light, late in the afternoon, in the filthiest condition of any light in the district. The reflectors had the appearance of not having been cleaned for a length of time; the glass in the lantern was darkened with smoke; and oil left upon the table and lamps showed the slovenly manner in which preparations for the night had been made. 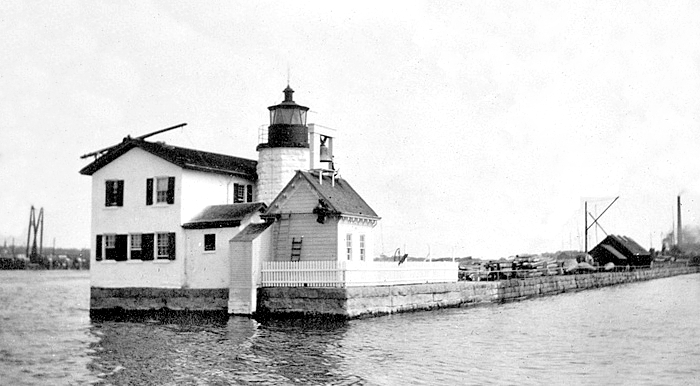 In its original location, Newport Harbor Light failed to adequately mark the shallow reef just north of Goat Island, and many vessels ran aground on the rocks. As a result, it was decided that the light would be of better service if it were placed at the end of a dike, off the northern end of Goat Island, and $67,700 was appropriated between 1834 and 1842 to construct the dike and erect a new, twenty-nine-foot tower. The exterior walls of the new octagonal tower were made of granite, while the interior was lined with hammered stone and had a spiral stone stairway that led to the lantern room. 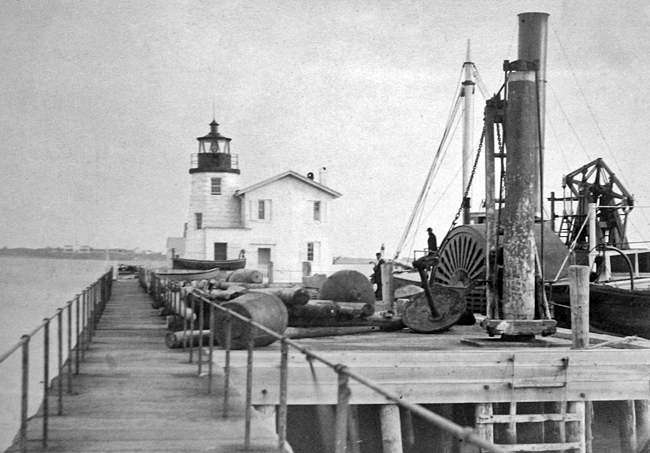 The original lighthouse continued to shine until the dike was completed in 1842, at which time the lighting apparatus was transferred to the new tower. The old tower was dismantled in 1851 and relocated to Prudence Island, where it still operates today. 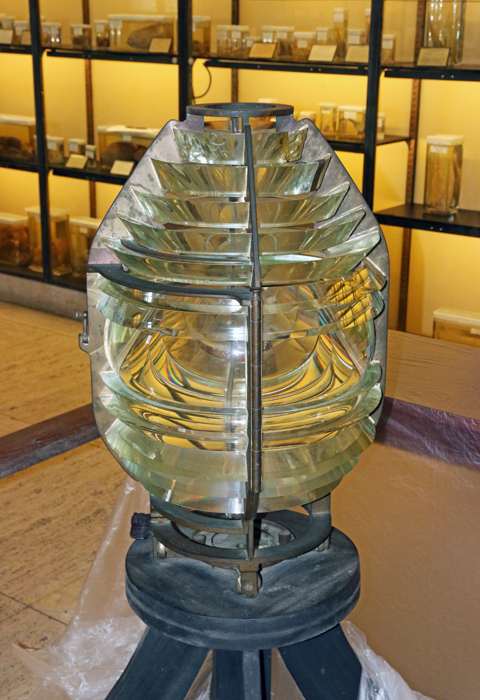 A fourth-order Fresnel lens replaced the lamps and reflectors in Newport Harbor Lighthouse in 1857. In 1864, a keeper’s dwelling was built on the twenty-foot-square granite pier next to the lighthouse, and four years later, the old keeper’s house on Goat Island was taken down and its cellar filled. In 1873, a fog bell and striking machinery were added to the station. A clock and apparatus for creating an occulting light were installed in 1891, and the light’s characteristic became flashing white, with fifteen seconds of light followed by five seconds of darkness. Goat Island has been used by the military for even longer than a lighthouse has been present on the island. Newport ceded the island to the federal government in 1799 so Fort Wolcott could be constructed to defend the harbor. A Naval Torpedo Station was built on the island in 1869 to supervise the research and development of torpedoes. In 1906, a Navy Torpedo Factory was established on the island and became the sole manufacturer of torpedoes for the U.S. Navy. While Goat Island Lighthouse was serving to save vessels, the rest of the island’s inhabitants were busy developing the best method to destroy them. In the late 1800s, steamboat companies maintained a private beacon near the south end of the island, known as the Goat Island Shoal Dolphin. The beacon was made of piles tied together and driven into the sea bottom, with oil lamps on top. The lamps were replaced by electric lights in about 1891. In 1905, the government took over the beacon, and replaced it with a skeleton tower in 1912. 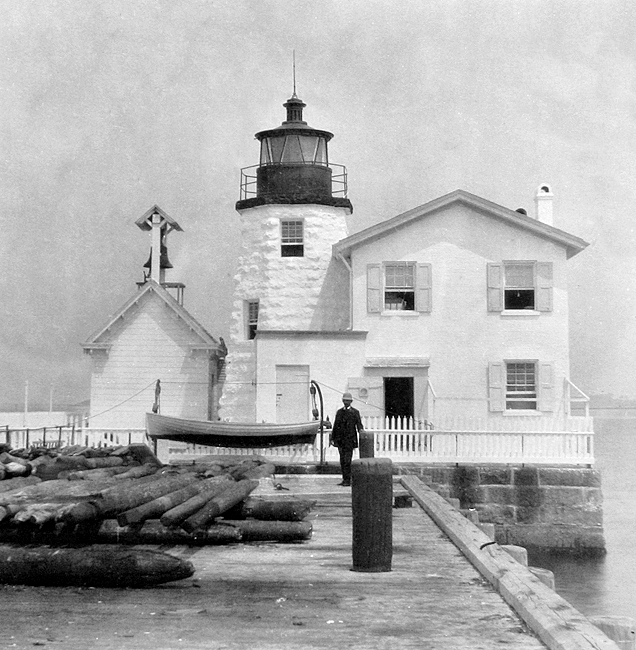 Charles Schoeneman was the longest-serving keeper at Newport Harbor Lighthouse, calling the station home for roughly thirty-eight years. On June 9, 1912, a launch from the destroyer Mayrant capsized in the harbor, spilling eight sailors into the water. Keeper Schoeneman promptly lowered his small boat, picked up one sailor who was attempting to swim to the lighthouse, and shortly thereafter plucked two others from the water. The remaining sailors were rescued by other boats and taken to the naval torpedo station. Two years later, a powerboat belonging to a contractor building a wharf on nearby Rose Island drifted onto the rocks near the torpedo station, and Keeper Schoeneman rescued one man aboard and secured the craft so it wouldn’t break up on the rocks. The keeper’s dwelling was badly damaged on November 9, 1921, when the 155-foot-long submarine N-4 rammed the breakwater. Rather than repair the residence, authorities decided to tear it down, electrify the light, and have the personnel at the torpedo station look after the light. The wayward submarined thus brought the lighthouse keeping career of seventy-year-old Charles Schoeneman to an abrupt end. Goat Island Lighthouse was automated in 1963, but it remains an active aid to navigation. In the 1970s, the area between the lighthouse and Goat Island was filled in and a hotel was built on the property. Newport Harbor Lighthouse is listed on the National Register of Historic Places and was completely renovated by the Coast Guard in 1989. 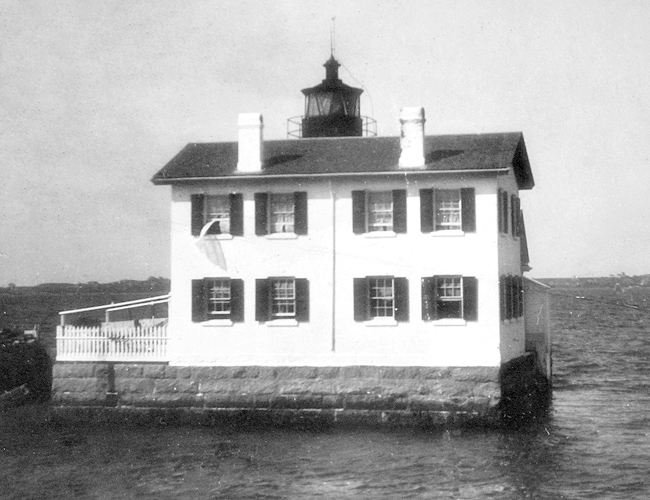 In 2000, the Coast Guard leased the lighthouse to the American Lighthouse Foundation (ALF), which established a local chapter known as the Friends of Newport Harbor Light to raise funds to restore and maintain the tower. Since 2005, the beacon has exhibited a fixed green light with a visibility of eleven miles. The grounds are open to the public, although the actual lighthouse is not. In the fall of 2005, Newport Harbor Lighthouse reversed its traditional role for a week and actually invited mariners to approach the tower and disembark on its grounds. The station was serving as a staging platform for the annual Grey Goose International Sailing Federation Team Racing World Championship, which was hosted in Newport by the New York Yacht Club. This race has been described as “sailing’s equivalent of World Cup soccer.” The American Lighthouse Foundation extended its hospitable invitation to raise public awareness of historic lighthouses among a receptive audience of sailing enthusiasts. 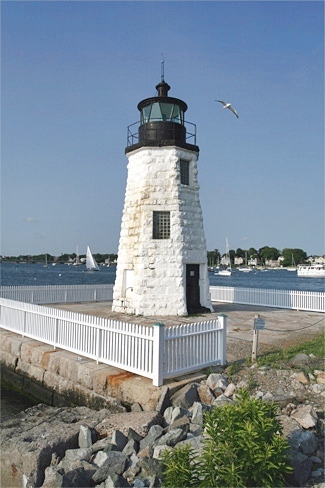 Thanks in part to a $25,000 grant from The 1772 Foundation, the American Lighthouse Foundation was able to begin the first phase of a $120,000 restoration of Newport Harbor Lighthouse during the spring of 2006. The work was done by Abcore Restoration Company, which also restored the Plum Beach and Pomham Rocks lighthouses, and included removing old paint and mortar, repointing the granite blocks, repairing railings, and painting the exterior. 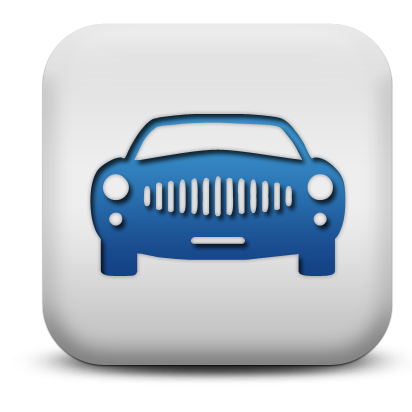 Head: Samuel Watson (1824 – 1841), Caleb C. Mumford (1841 – 1845), Henry Oman (1845 – 1849), Pardon W. Stevens (1849 – 1853), John Case (1853 – 1863), John Heath (1863 – 1868), Mary Ann Heath (1868 – 1873), Henry W. Crawford (1873 – 1883), Charles Schoeneman (1883 – 1921). Assistant: Lydia A. Crawford (1878 – 1882). Located on the northern end of Goat Island in the harbor at Newport, adjacent to the Gurney's Newport Resort & Marina. 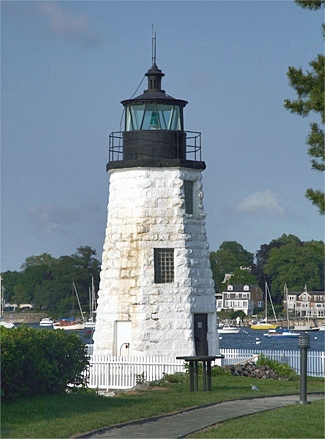 For a larger map of Newport Harbor (Goat Island) Lighthouse, click the lighthouse in the above map. In Newport take Highway 238 to its southern end and then go west to reach the bridge to Goat Island. You will see the lighthouse to your right as you approach the island. Rhode Island Bay Cruises offers a 10 Lighthouses of Narragansett Bay cruise that passes Newport Harbor Lighthouse. Save the Bay offers lighthouse cruises that pass the lighthouse. The lighthouse is owned by the Coast Guard and leased to the Friends of Newport Harbor Light. Grounds open, tower closed.